Denna produkt ger dig 3990 bonuspoäng. Vagnsset med 3 Stolpvagnar Sgns D-AAEC med last av timmer 'Cargolink AS'. The timber Bunks will be painted in color and directly be printed with the logo´s on. 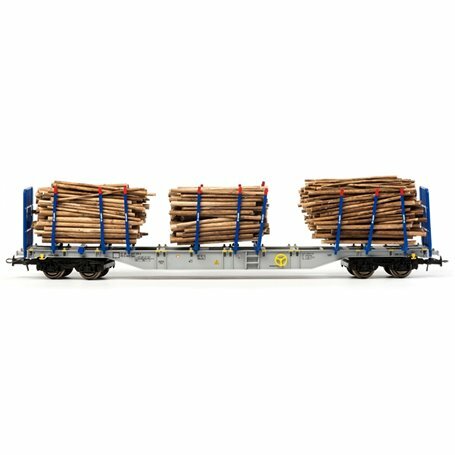 All cars will also be loaded with real Wood, so 3 Wood-load on each car. 9 blue Timber Bunks on each car.